One of the most, if not the most interesting place for cinema post 2010 is Chile. Its no accident that two breakout Chilean films wowed audiences in Cannes and Berlin in 2013 when nothing from Chile had been shown in Berlin since the 90’s. Young directors like Sebastián Lelio (Gloria) and Pablo Larrain (No) have drawn so much interest (and funding) in Chilean film making that a groundswell of young directors are making films there, commensurate with the economic surge the country and region are experiencing. These are sophisticated films born of a post-Pinochet era that recognises itself as taking a mature approach to the countries twentieth centuries trauma. 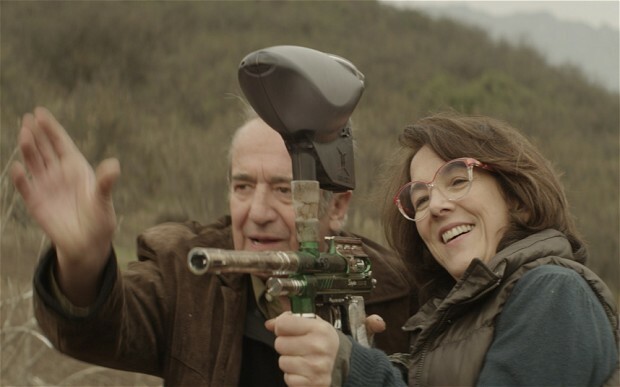 Gloria is an emblematic film, taking its flavor from the air between characters, using a very contemporary Chile as if it is still in a transitional moment. 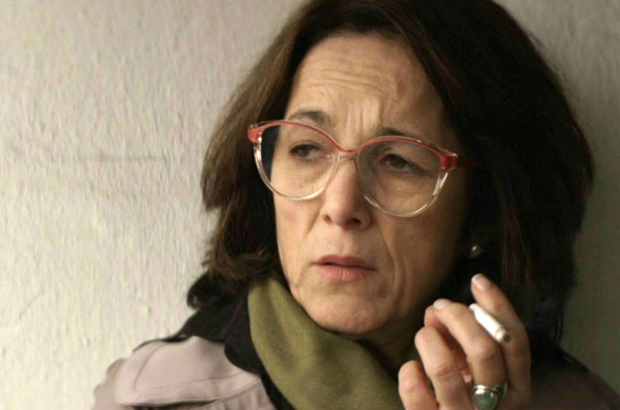 Gloria’s decision to powerhouse forward despite being alone and invisible is as much a metaphor for Chile as her Tootsie style glasses and her Cassavetes name represent a very personal love affair the young director has with American films. Gloria sees the new Chile through this American definition and at the same time she lives the new Chile with a passion born not of nationalism necessarily, but of a deeply satisfied acceptance that makes the best and most of the era that defines her. It is this subtle morphing of ideas and the brilliant editing of Leilo that makes Gloria such a special film. Gloria is interchangeable with her country. Both still feel young, both are fifteen years post psyche shattering trauma, both were invisible and are currently emerging as self sufficient and underestimated. But interviews with Lelio get complicated and he becomes irritated if Gloria is tied too much to the political. It’s a Western fashion to plaster South America with a kind of reverential awe in its passionately political outlook, something that is merely a way of life for Chileans. Gloria is not a political film, and yet how can an individual making their way in their country not be a political film? Subtleties such as Rodolpho’s ex Naval history and a discussion lamenting a lack of passionate drive in the young that Gloria easily connects with capitalist malaise and fear are not deliberate signposts as much as, to reference a fellow critically acclaimed film in 2013, Cornelia Keneres casually paying off policemen is in Călin Peter Netzer’s Romaninan film Child’s Pose – another film about a middle-aged woman responding to self-absorbed children and a changing political landscape. They are instead dots of colour and reason in a character study, highlighting the relationship between the personal and the political. If the film is unwilling to be couched in specificity when it comes to a primary point, it is gleaning its layers from its country and its demographic. While Lelio magnanimously cites Gloria as an every woman reflecting the world, Gloria is a tribute film to both the great actress who portrays Gloria, Paulina García but also Lelio’s mother whose singing pop tunes in the car sparked the initial inspiration for the film, her delight inciting an observation of late middle-aged woman singing joyfully in cars all around him. For this reason, music plays a large role in the film, often acting as the sole anchor for the ocean of feeling Gloria is dealing with in her fast paced life. If signposts are absent politically, they are present musically, with the film taking its spirit from the Bossa Nova tune Waters of March and ending with the eponymous Gloria, as Gloria herself takes to the dance floor to dance alone with a rapturous joy in her heart. If Gloria is about nothing and everything, then its power comes from a meticulous craftsmanship, pieced together over time, through careful pre-film research, the astonishingly subtle and reconnoitring performance of Paulina García (that puts any of the current academy award nominated performances to shame) and the aforementioned editing which is where the real strength of the film lies. Paulina García is in every frame; she is the world, the universe, and the black holes where matter disappears into that she so delicately wanders about in the arms of Rodolpho. Her performance is nuanced, affecting everything around her, the eye constantly drawn to search out the beautiful face hidden behind Dustin Hoffman’s glasses. When Lelio pieces his well crafted film together, he retains his respect for Gloria and his homage to García, perpetually inhabiting the fifty-two year old woman, bringing the invisible to the centre of all things. Gloria loves her assiduous baggage laden children, keeps a warm and respectful distance from her sulky ex-husband and calls her housekeeper when she needs help. She is alone, beautifully, deliciously, happily alone, naked in her mature skin as the hairless cat she grows to love, and as youthful as her dark brown sensuous dye job. She complains about her selfish neighbour and stands up for herself – “I pay to live a quiet life” – and keeps his dope when he accidentally drops it on her doorstep, enjoying it in quiet solitude. She takes a pranksters revenge on her lover when he proves to be incapable of the courage to stand alone she exhibits. Gloria is a subtle film, gently paced, intricately working its way into the heart of its central character. We slowly come to know and love Gloria, we slowly come to see ourselves in her. As the film winds forward evocative imagery – a white peacock, a slowly moving halo-like circling hair dryer – come to the fore evoking a climax of mood expressed in the very final frame. Gloria is that very rare film made to the highest standard it can possibly be made.